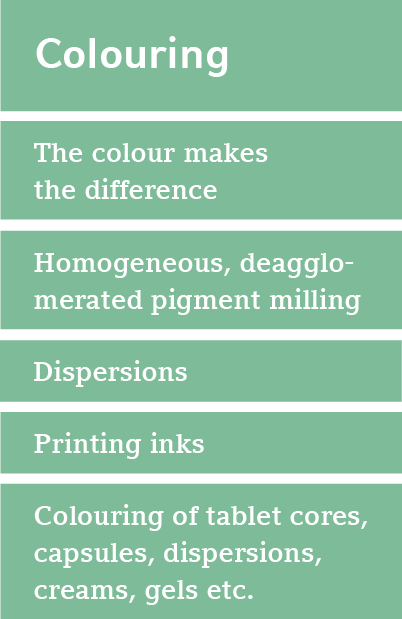 Easy-to-use ready mixes for film coating, tabletting, coating & colouration. Tailor-made & ready-to-use. Why take numerous steps if you can do it in just one? 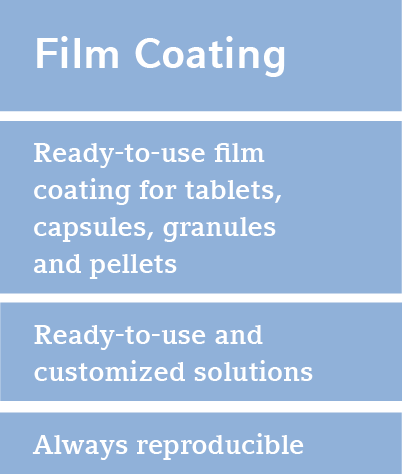 Ready-to-use – high-quality film coating, tabletting, sugar-coating, colouration. 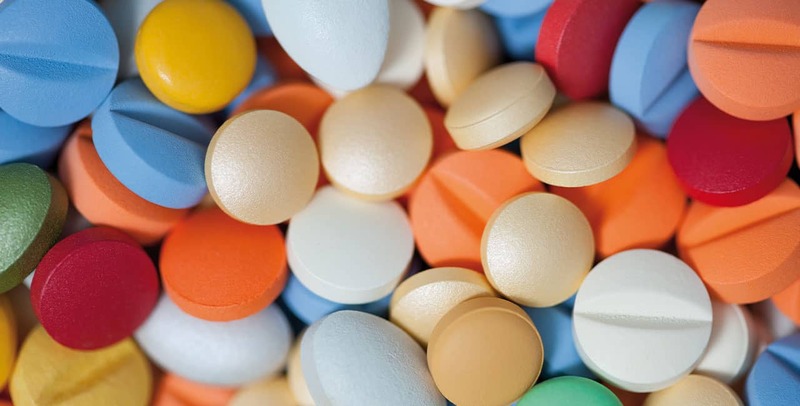 Easily applicable and reliable products for oral dosage forms of the pharmaceutical and nutritional supplements industry in just a single step. Our ready-to-use products simplify several processes in your company (e.g. purchasing, quality assurance/control, warehousing, production). 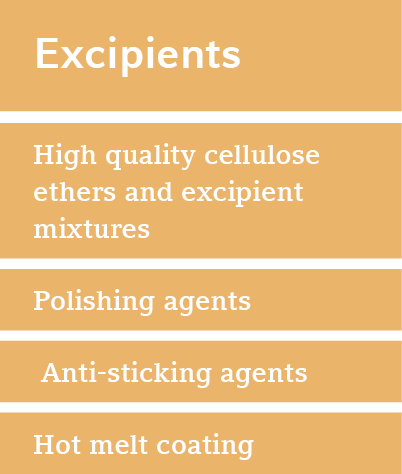 Innovative – our development takes into account current topics and trends in the industry (such as regulatory changes, use of pigments, natural ingredients, certifications, clean label) for your formulation. 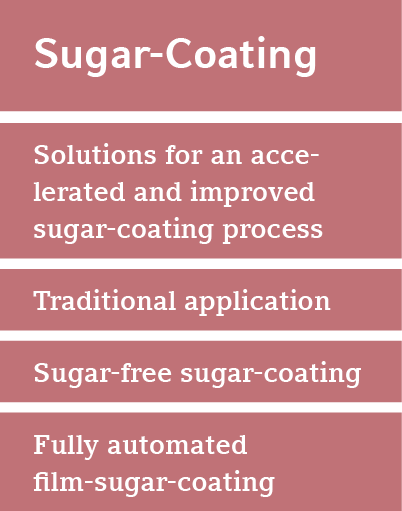 Solution-oriented – for an efficient production process. We take time for you and – together with you – develop tailor-made products that optimize your processes. 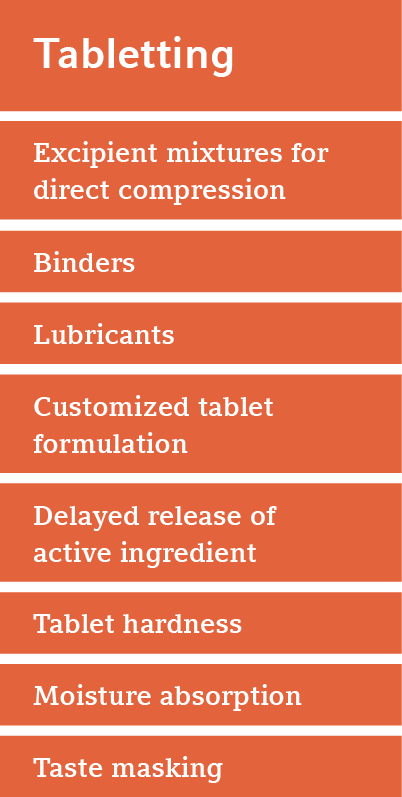 Our ready-to-use products are tailored to your needs and guarantee fast application. Easy, fast & reliable! Our products are simple, fast and reliable to use.